All computers running Windows give any user an easy access to all system folders if he is authorized as an administrator. Many system folders in Windows 10 take up quite a large space, which may cause some issues for a computer user. For example the AppData folder that at times may weight a lot. However not everyone knows whether it can be removed and how to do it. In this article, we will look at what this folder is, what information is stored in AppData, why this folder was created, and also find out if it can be deleted. 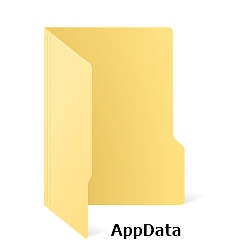 The full name of this folder is Application Data. This is a hidden system folder that exists in the Windows operating system, starting with Windows 7 version. The AppData folder is hidden by default. To display it when you go to the above address, you need to enable the hidden files and folders visibility in the system. The AppData folder stores information about the working files of installed applications. 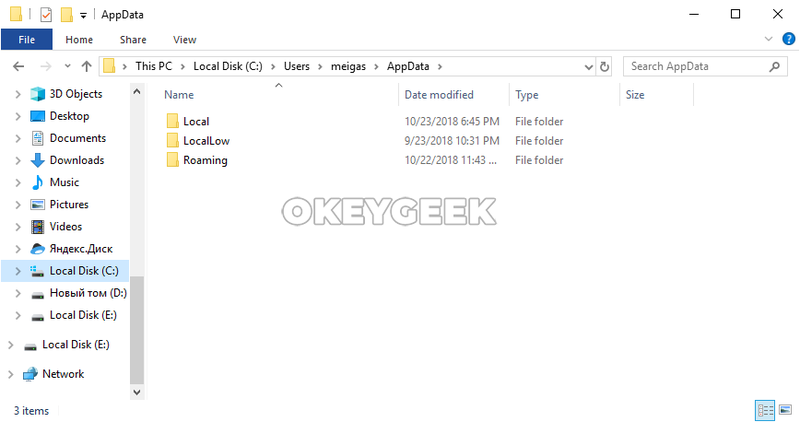 These are various configuration files with information about application settings, temporary files for proper program operation, application logs, information about saved application users and sessions. 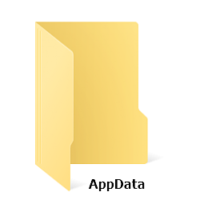 Almost all applications installed on the system have their own folder in AppData, where various data is stored. To make it clearer, we are going to give you few examples. Office applications, such as Microsoft Word, Microsoft Excel, and others, store page templates, dictionaries, autocorrect data, and other system information in the AppData folder. Browsers, for example, Google Chrome, store in the AppData folder information about installed extensions, history of visiting pages, cached logins and passwords, and much more. You can go to the AppData folder either from Explorer or from the “Run” line, if you enter “AppData” as a command. This folder stores temporary applications files and their local data, for example, user settings. This folder has application buffer data. Folder with user data for various applications. As it was already noted above, the AppData folder is hidden from users by default. Regular users are not supposed to carry out various manipulations with it. However, it is important to be aware that this folder exists and there is some information stored in it. 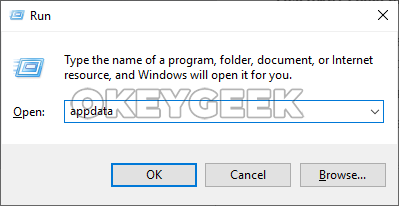 If you need to transfer user information about this or another application from one Windows-based computer to another, you can use data from the AppData folder. Simply copy the information from the desired folder in this section and transfer it to a new computer to the appropriate folder. Similarly, it is convenient to import and export settings, templates, bookmarks etc. Many applications by default do not support the ability to export data, but through AppData this can still be done. 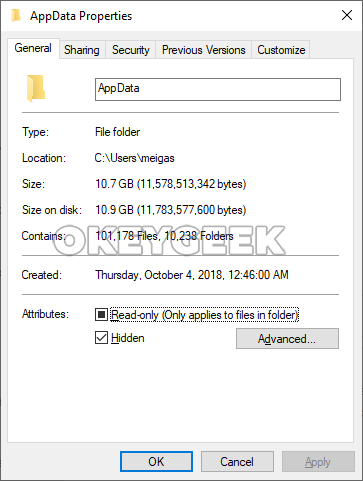 If you will take a look at the AppData folder immediately after installing Windows, you will notice that it’s quite small in size — only a few hundred megabytes. But with the installation of each new application and its usage, the AppData folder becomes bigger and bigger. The more programs and games you will have on your computer, the larger will AppData folder become. There is no size limit for the AppData folder. Windows alone does not control the size of this folder so it may grow up to dozens, or even hundreds of gigabytes. At the same time, deleting a program or a game from a computer does not always lead to deleting information from AppData. Most applications when deleting through a standard Windows utility do not erase their data from the folder in question. So it turns out that AppData stores data about some programs that are no longer present on the computer, and this data takes up quite a space on the system drive. If you delete applications from your computer with the help of specialized software, it, in most cases, erases program data from AppData. Use the built-in Windows tools to clean the hard drive. 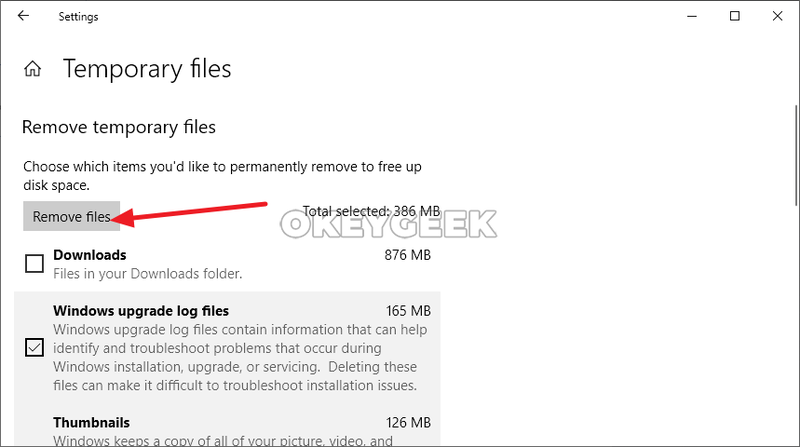 Windows 10 has utilities that can help you to delete temporary files. If you go to the list of parameters, after selecting the “System” section and the “Storage” subsection, you can see all drives on your computer. Click on the system drive to clear it from temporary files. You will see a list of data stored on this drive. Click on “Temporary Files”. You will be able to choose what you would like to delete. Highlight the necessary partitions (the “Temporary files” section refers to AppData) and click “Delete Files” to erase the information that operating system considers useless. 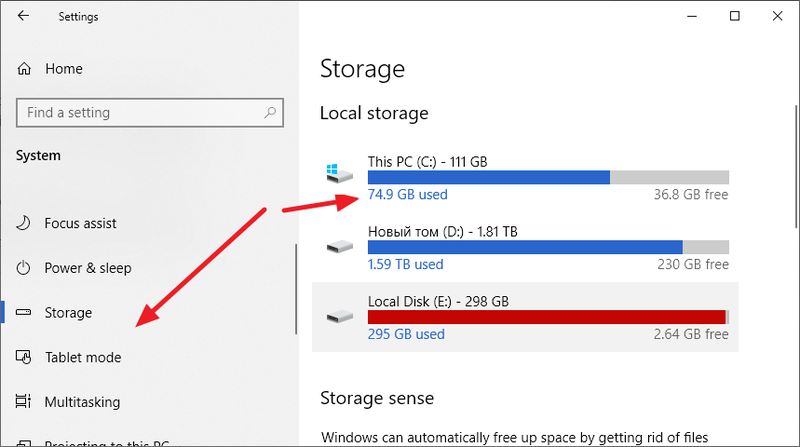 Use the Windows 10 “Storage Sense”. 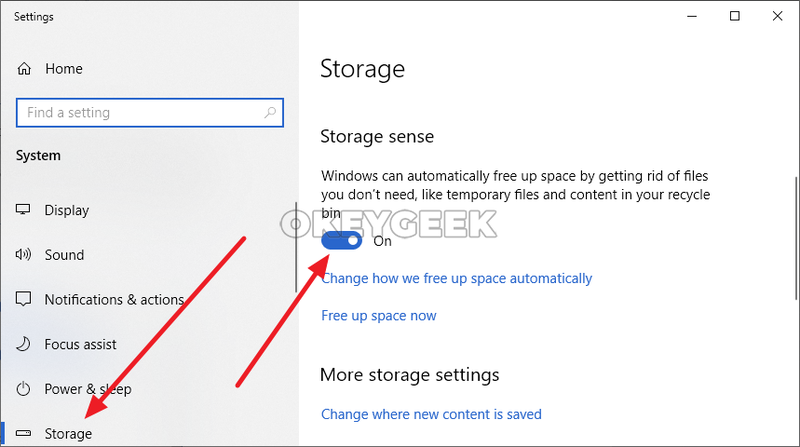 With one of the updates, Microsoft has implemented a new feature in the Windows 10 operating system – “Storage Sense”. It can be found in the parameters in the “Storage” section. It is turned off by default. If you enable this feature, Windows 10 will automatically free up drive space, deleting temporary files and information from the Recycle Bin. Use third-party applications to inspect and cleanup the AppData folder. There are many third-party applications that you can install to inspect this folder. As part of inspection the program will determine which information in the folder is relevant and used by other applications, and which one is not getting accessed any longer, and can be deleted. For example, the Scanner program handles this task pretty well. The best way to avoid the AppData folder “growth” is to delete information about the application from it when the application itself is being deleted. That is, you can use various special utilities that remove programs completely, for example, Soft Organizer or Revo Uninstaller.